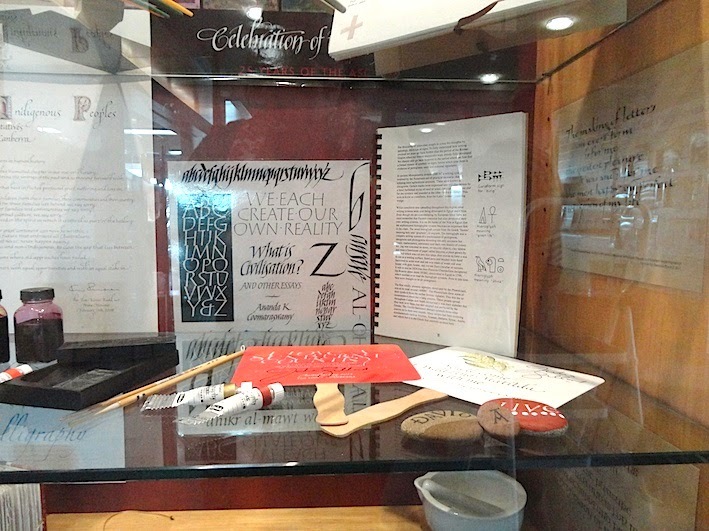 Today I set up the foyer cabinet at my local library with a calligraphy display. ... and this when I finished! 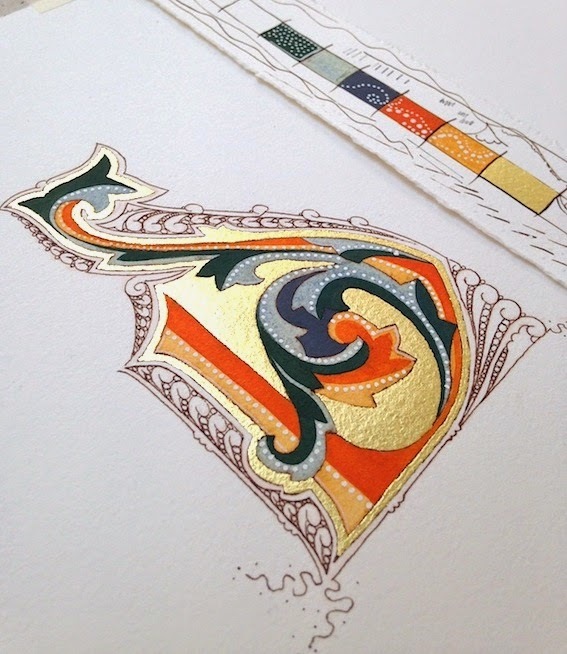 The main aim in choosing the materials I did was to educate, young and old alike. 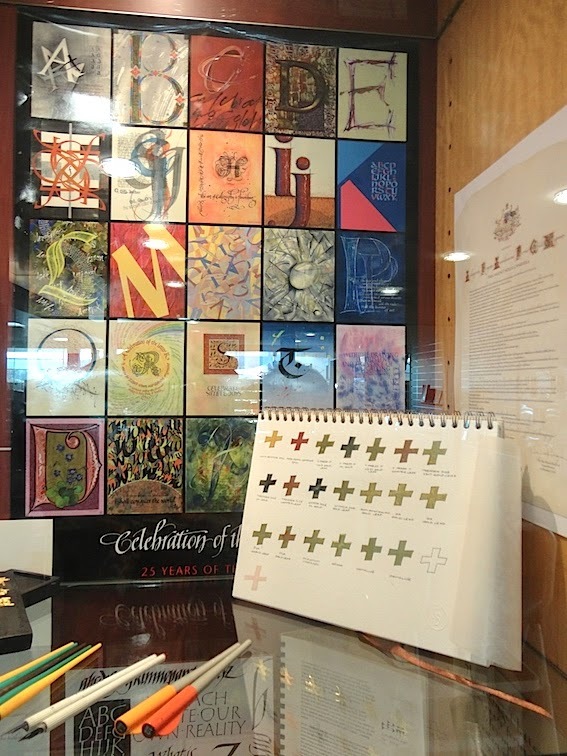 Some of the works are mine, some others by Gaynor Goffe, Tom Perkins, Ann Hechle, the Australian Society of Calligraphers and the Friends of Calligraphy, San Francisco. 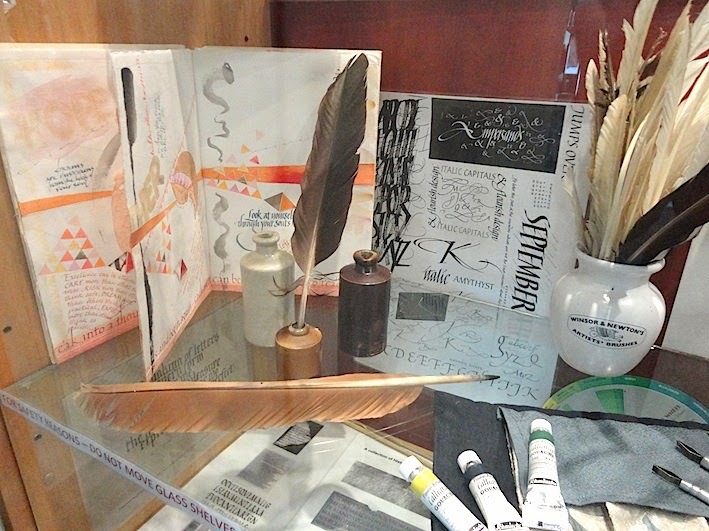 There are hand bound books, pens, inks, gouache, sticks, stones, ink bottles, quills, pots, nibs and works from medieval manuscripts to modern. 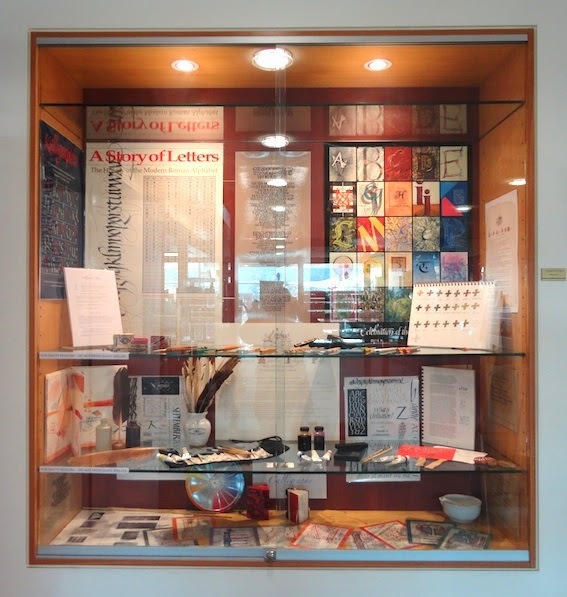 It was fascinating the number of people who were interested in lettering & writing as I was setting up the cabinet. Chat, chat, chat, chat, chat ... what a rewarding little project. 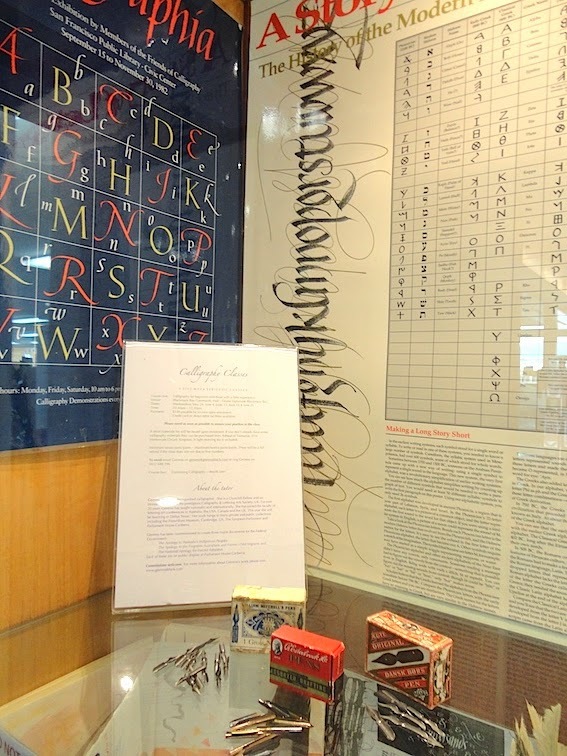 My very helpful link at the LINC has been Jane Dobbs who has collected all the calligraphy books off the shelves and set up a calligraphy book borrowing section just inside from here. I am running weekly classes at the Blackmans Bay Community Hall on Wednesdays. All enquiries are welcome. 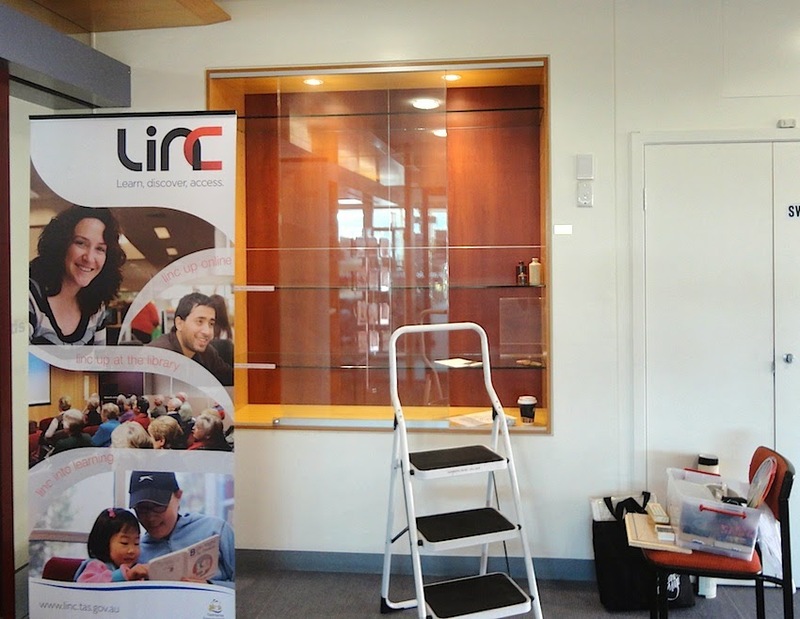 LINC Tasmania is a statewide network that gives Tasmanians access to library services, research and information, adult literacy support, community learning, online access, and archive and heritage services. Originally the acronym was short for 'Learning and Information Network Centre' but the full name is no longer used. The name, 'LINC Tasmania' reflects our vision: To enrich the lives of Tasmanians by linking them to learning and information, their history and their communities. bringing on that feeling of well-being. until it turned to light and misty rain. Lucky we are pre-shrunk! 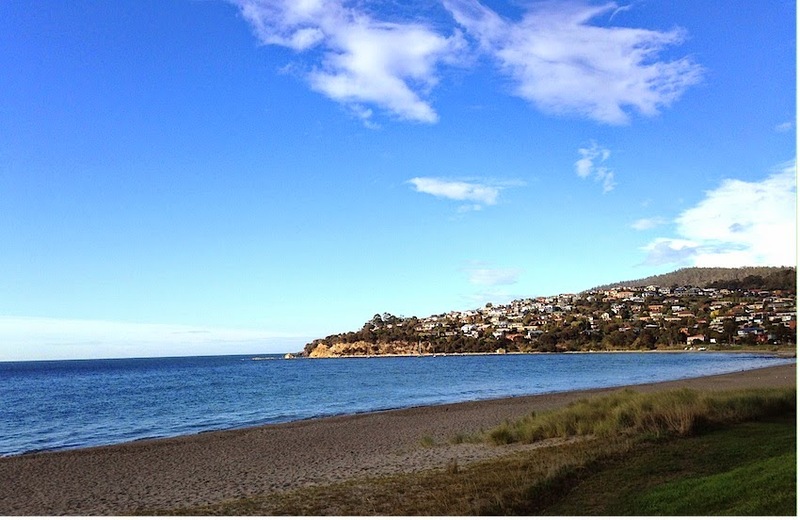 Blackmans Bay 9am Good Friday 2014 Beautiful! 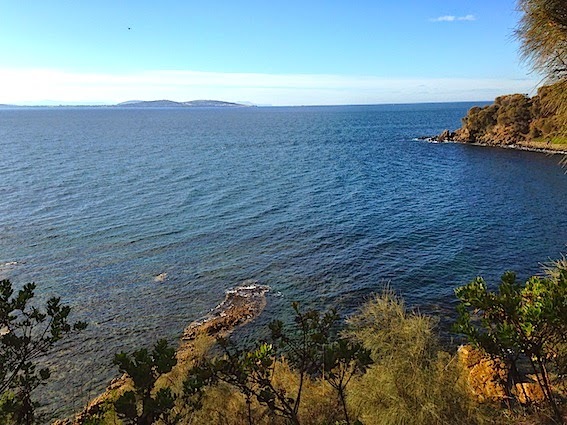 We headed for the far clifftop. A gentle stroll. Up and around the clifftop. Stunning views with every step! 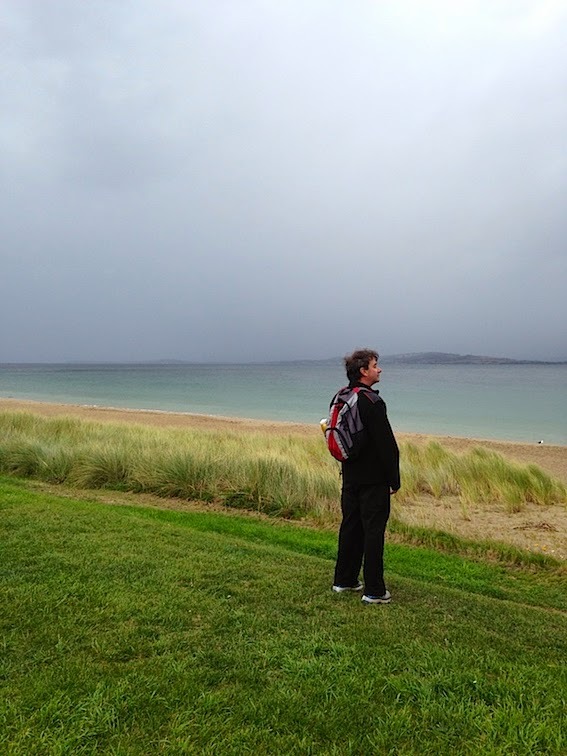 "what happened to the glorious weather?" asks the oboe player. 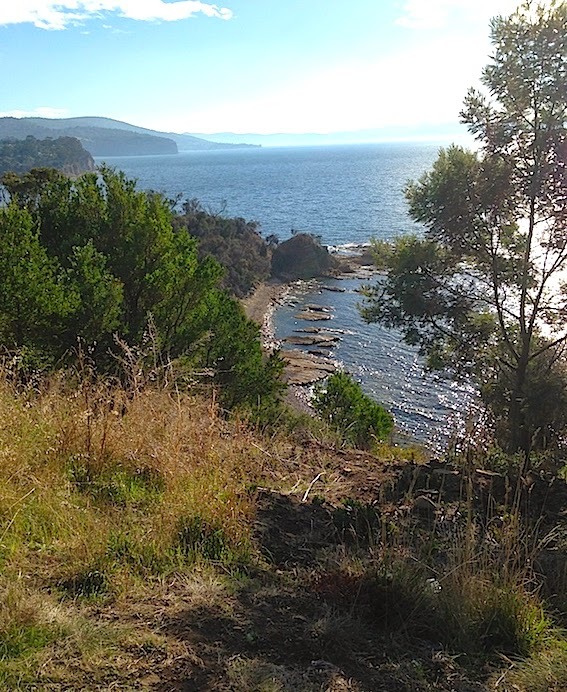 Oh well, that's Tasmania! or to be given the opportunity to write about yourself. 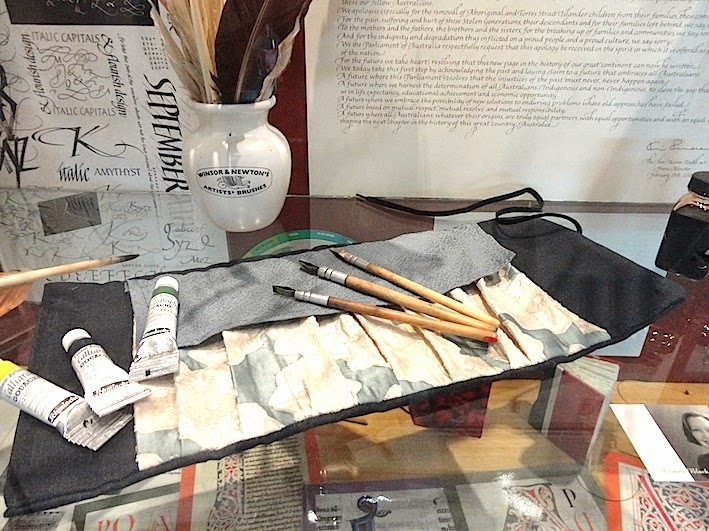 Thank you, Paper and Ink Arts for putting me in Calligrapher's Corner!